The perfect drink for a sunny Friday afternoon. The perfect drink with which to evoke feelings of a sunny Friday afternoon on a rainy Tuesday. Created at Foxlow Chiswick but simple enough for us to knock up at Compass Box HQ. Share & Enjoy! Muddle the fruit in a cocktail tin, add the liquid ingredients (excluding soda water) and shake. Strain into a highball, add crushed ice and top with soda water. 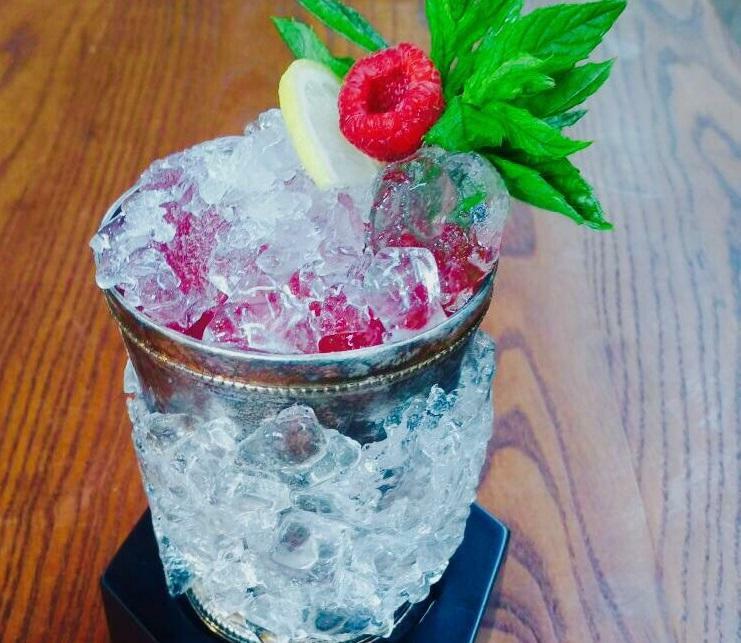 Garnish with mint, lemon and raspberries.